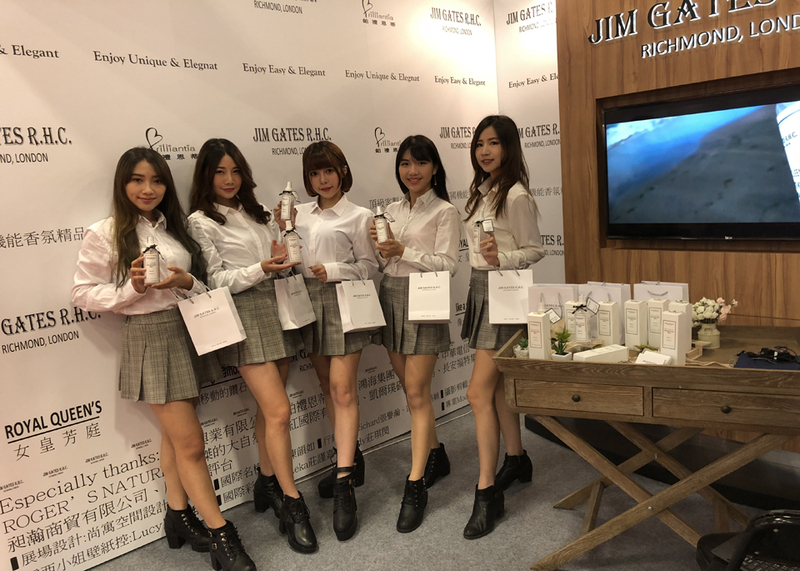 The first Asia Pacific stop of exhibition for JIM GATES is GIFTIONERY TAIPEI 2018 on APRIL 19-22. JIM GATES R.H.C. with its annual launch, ROYAL QUEEN'S well known as the best functional perfume leads the unique healthy value to an unusual thought. During the exhibition, JIM GATES R.H.C. 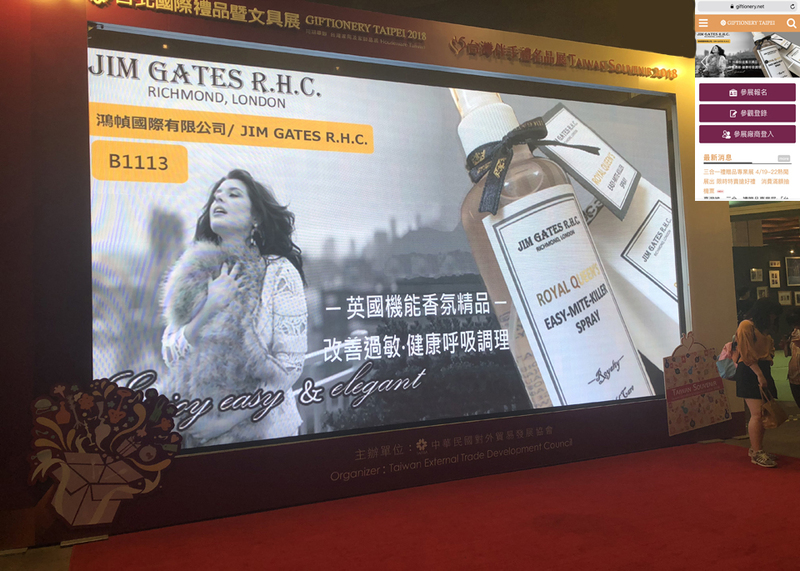 has been not only honored with the one of the 6 selections on the front page of GIFTIONERY TAIPEI 2018 Exhibition where you can get through the website: https://www.giftionery.net/zh_TW/index.html among more than 600 exhibitors, but also such a unique functional perfume, ROYAL QUEEN'S has been purchased by Taiwan and overseas buyers, including several big enterprises.